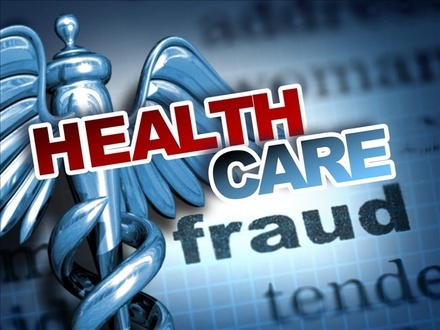 The Centers for Medicare & Medicaid Services is hosting a Health Care Fraud Prevention Symposium on Wednesday, September 25, 2013 in the Tampa / St. Petersburg area. Participants will hear from leaders of the CMS Center for Program Integrity about goals for detecting and combatting Medicare and Medicaid fraud. In addition, attendees will learn about the roles played by CMS contractors and the State Medicaid agency including Medicare Administrative Contractors (MACs), Zone Program Integrity Contractors (ZPICs) and the Medicaid Program Integrity Unit. Members of the Office of Inspector General (OIG , the Department ) of Justice (DOJ) and the State Medicaid Fraud Control Unit will provide up-to-date information on law enforcement trends in healthcare fraud. Palmetto GBA has posted a recorded webinar designed for home health providers to equip them with the tools they need to be successful with Medicare billing and documentation. This presentation focuses on denials found during the medical review process. The webinar will be available until August 28, 2013 at 3:00pm ET. Click here to view the presentation. The Summer 2013 issue of The Florida Home Care Connection, HCAF’s official magazine, is now available online! This issue focuses on renewing yourself for the new age of home care, and features articles from leading industry professionals. As a benefit of membership, HCAF provides agencies with In-Home Aides: Partners in Quality Care, a monthly publication that addresses relevant topics for home health aides. Topics addressed in In-Home Aides: Partners in Quality Care have included quality, aging, safety, teamwork, falls prevention and more. Palmetto GBA will host a webinar on home health denials webinar on May 30, 2013 from 10:00 to 11:30am ET. Medicare providers are invited to this webinar designed for home health providers to equip them with the tools to be successful with Medicare billing and documentation. This presentation will focus on denials found during the medical review process. For more information and to register, click here to visit the Palmetto GBA website. The Agency for Health Care Administration Health Information Exchange (HIE) will present three webinars beginning Friday, April 19 about the benefits of Direct Secure Messaging (DSM) and how your agency can sign up for this free service. DSM is a secure, encrypted email service that enables users to safely send messages and attachments containing protected health information. Register Now for the Next Members-Only Call with CMS! HCAF is excited to announce the next members-only Quarterly Provider Call with Medicare officials to discuss your concerns and get answers to your questions! Posted in Education, Meetings & Events, Medicare, Provider Updates | Comments Off on Register Now for the Next Members-Only Call with CMS!